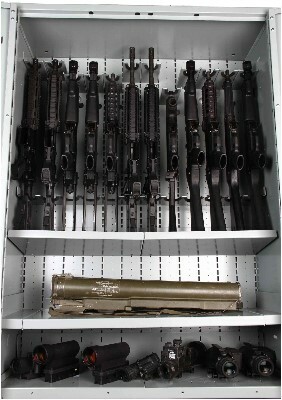 Weapon Racks store all weapon systems including rifles & shotguns, crew-served weapons, mortars, machine guns, miniguns, sniper rifles, pistols and tasers. Our fully slotted back panel system design allows rapid reconfiguration of modular universal individual components to meet a changing inventory. 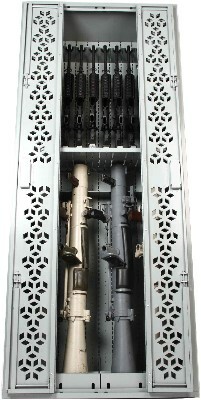 Below are links to common weapon systems we see in the field and Combat Weapon Racks configured to store that weapon system. 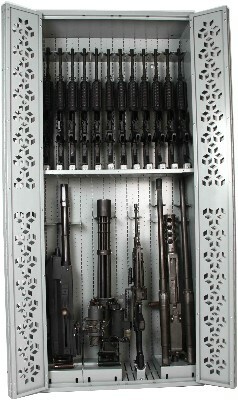 Click on the pictures below to review various weapon rack configurations as well as our available National Stock Numbers for specific rack layouts. 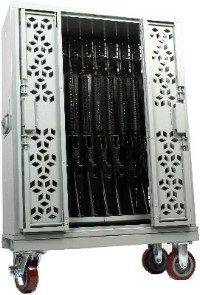 A la carte rack configurations can be purchased commercially as well as through our GSA Schedule. Our GSA Schedule qualifies as a Woman Owned Small Business (WOSB) set-aside for procurement purposes. 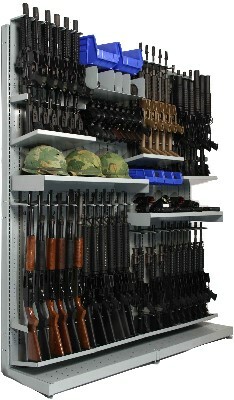 Combat Weapon Racks are available through our GSA Schedule and also through NSN Assignment. Call for pricing and to schedule site surveys. 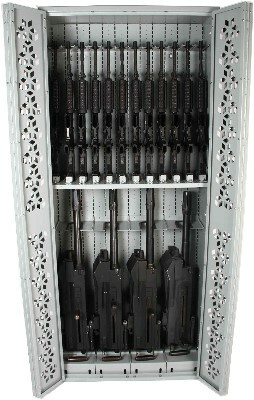 Combat Weapon Racks provide a 1:1 barrel saddle to rifle ratio, giving armorers ultimate rack flexibility. 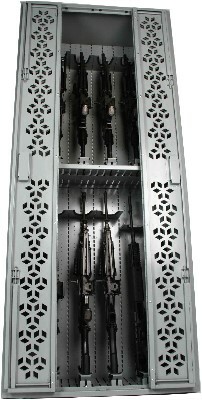 Stackable single tier Combat Weapon Racks allow for smaller units or teams to lock down racks and still maximize floor space. 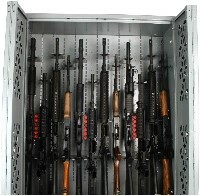 Combat Weapon Racks installed on mobile carriages provide high density weapon storage solutions for large density lists and tight spaces. 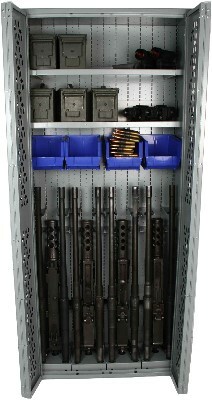 Combat Weapon Racks with caster bases allow weapon racks to be moved around arms rooms with great ease. 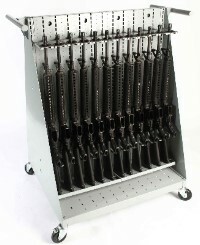 Combat Weapon Carts feature our fully slotted back panel and rugged handles to move weapons in and out of the arms room with ease. 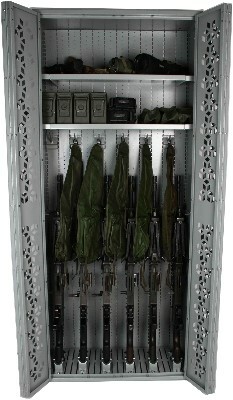 Combat Weapon Shelving stores all the same weapons as Combat Weapon Racks, without the fully welded cabinet super structure, for use in secure arms rooms not requiring locks on racks.